This Mother’s Day, join us in reflecting on the many life lessons our mothers have taught us. 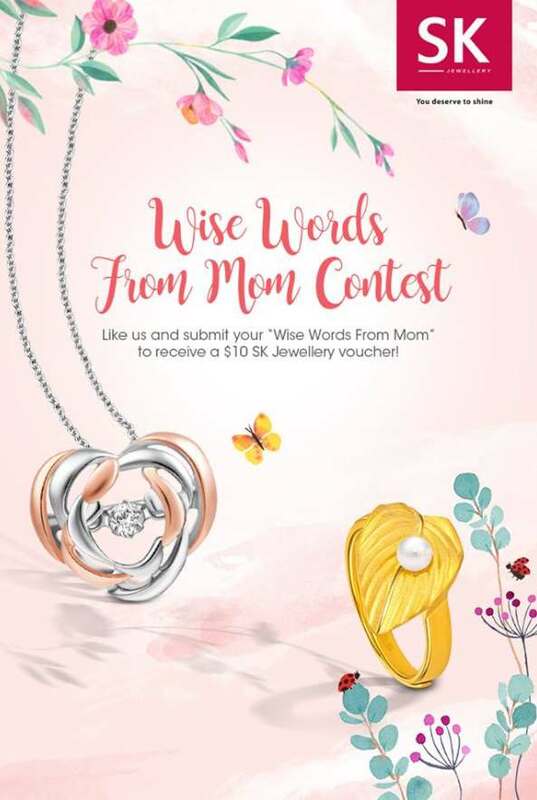 Simply share her words of wisdom to instantly receive a SK Jewellery $10 voucher! 1. ‘Like’ SK Jewellery Facebook Page. 2. Click on the ‘Wise words from Mom Contest’ tab or visit this link: http://woobox.com/wj5qfd. 3. Submit the “wise words” from Mom. Contest ends on 14 May 2017 (11:59pm). Find out more at SK Jewellery.